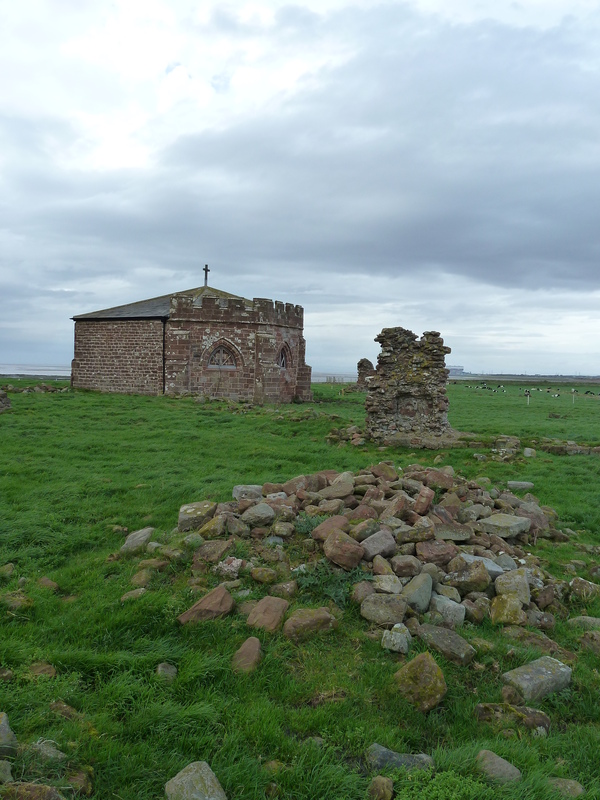 It’s been Heritage Open weekend and on Saturday I went to see Cockersand Abbey, which lies on a remote coastal plain of Lancashire where the river Lune flows into Morecambe Bay. 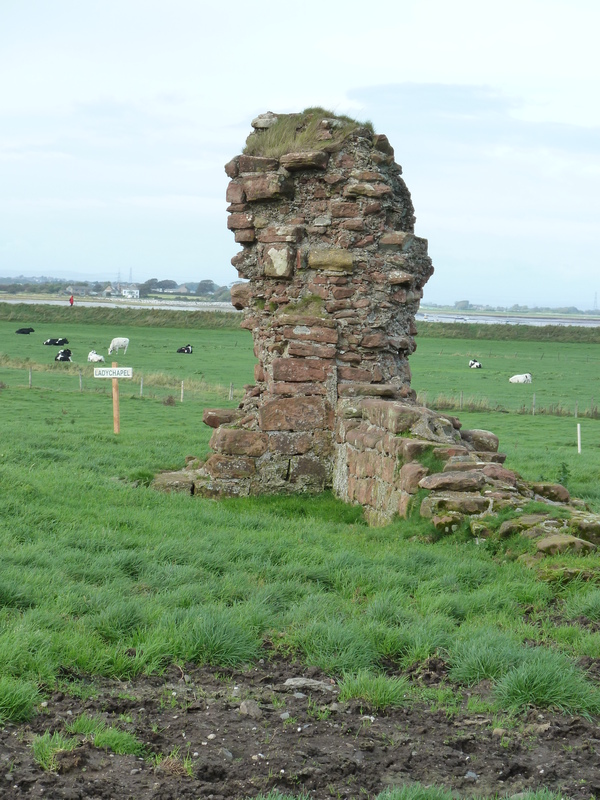 There isn’t a lot to see as most of what is left of the remains lie under a covering of earth and, as is common with other abbeys, most of the stones were purloined by locals to build farmhouses, walls, barns and even the sea wall. Well, why bother to dress your own stones when there are perfectly good, prepared stones just waiting to be re-used? 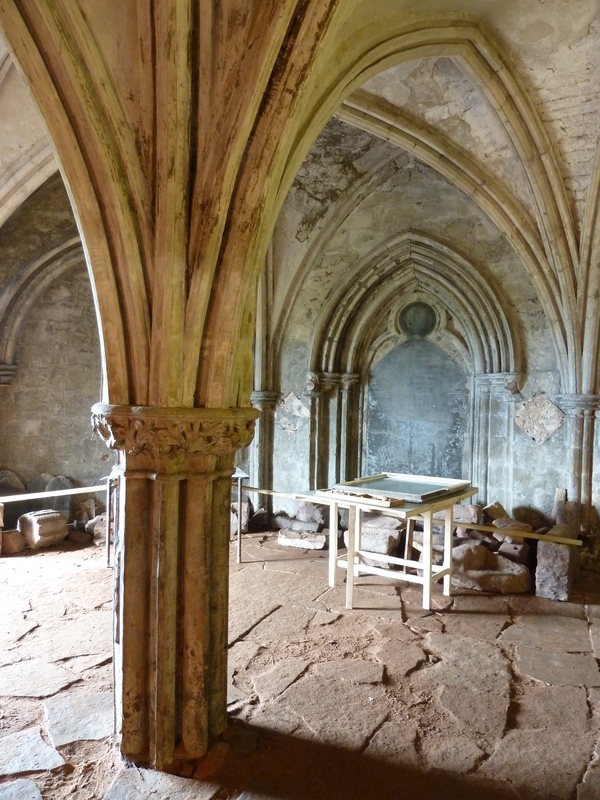 Before the abbey was built there was a hospice here for the sick and lepers that was founded by a hermit named Hugh Garth. The hospice was here from around 1180 and was continued by the Premonstratensian White Canons when they built their priory here in 1190, perhaps after the death of Hugh. It was built on a clay ‘island’ and its medieval name was S. Maria de Marisco or Saint Mary of the Marsh. The priory thrived and gained the rank of abbey, becoming the third wealthiest in Lancashire after Furness and Whalley. Then came Henry VIII’s Dissolution and in 1539 a man named Henry Kychen was sent to make an inventory of the abbey. He bought the estate for himself and when his daughter, Anne, married Robert Dalton she was given the land. It became part of the Thurnham Hall estate and the Dalton family used the chapter house as their private mausoleum, which is why it has survived. Whilst the outer walls have been rebuilt and altered and the original lead roof replaced with slate, inside the original 12th century architecture remains. If you think that the columns look a bit on the short side, then you would be correct. The present floor is a ‘false’ floor and is raised 4ft 6 inches above the original tiled floor to form a space for the burial of several coffins. 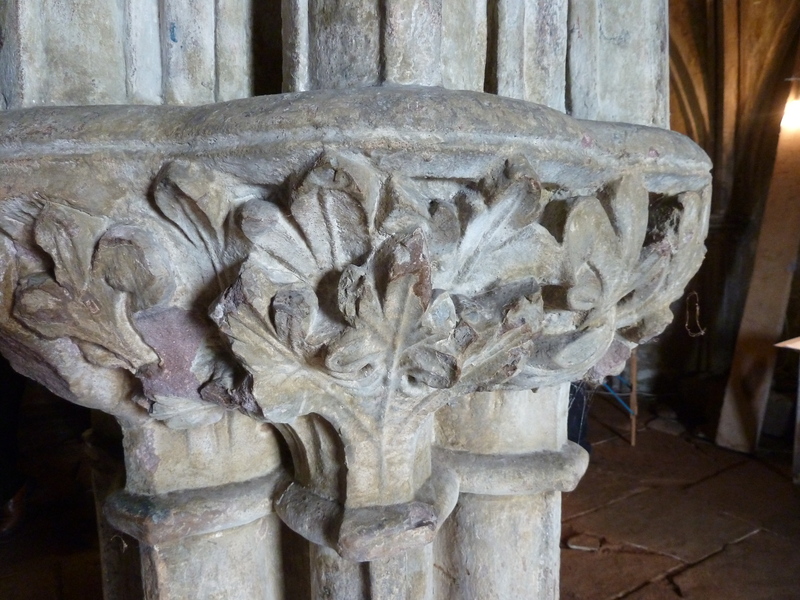 It does, however, mean that visitors have a very good view of the ancient decorative features. used by JRR Tolkien as a model for his bad guy. Well Tolkien spent a lot of time at Stonyhurst and I’m sure the geography and the history of the area inspired much of his writing. It sounds fascinating. Amazing how some of these places survive. Previous The tomb of Henry de Lacy, earl of Lincoln, lost in the Great Fire of London.